Today's pop-up stores have been a new way of marketing in fashion industry. Some high-end brands cooperates with pop-up stores to enhance the brand culture and increase the impact of media. 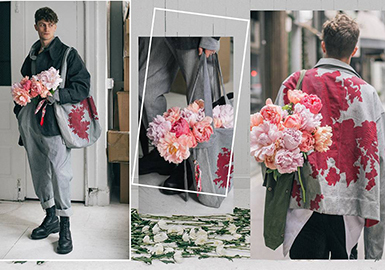 OFF-WHITE X Wild &The moon, UNIQLO x GRAND PRIX and Vetements pop-up store are emerging. After the monkey art exhibition at Beijing's UCCA this year, Edison Chen opened the popup Store in Shanghai on April 1 - April 15, 2018. The World Cup is just around the corner. Designers and brands such as Off-White and Gosha Rubchinskiy launch football capsules, providing retro jerseys or collaborations. The logo and slogans are printed on the T-shirt, creating a casual and distinctive look. 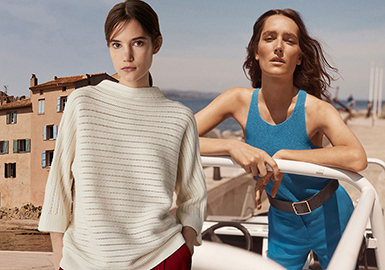 Kelly Wong, fashion director of Lane Crawford, and her team provide several capsules this season. 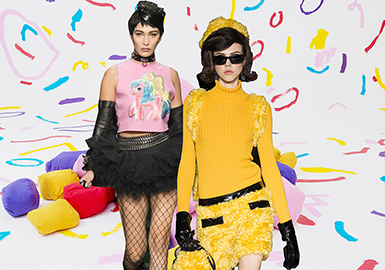 They select some special items from brands, and merge them with pop art, provocative signs, bold prints and multiple colors, turning daily essentials into creative fashion collections. 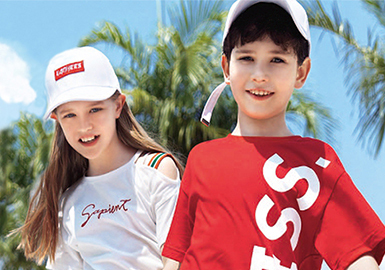 Cotton and linen brands gain popularity among youth with diverse styles, color combinations and well-considered patterns. JNBY's store is dominated with yellow, bright and pleasant. 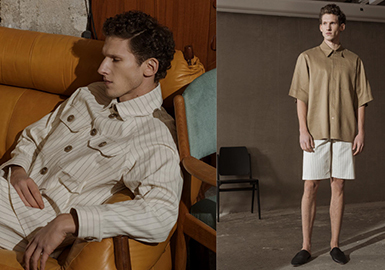 Refined lines team with white and beige items, delivering a summer vibe. 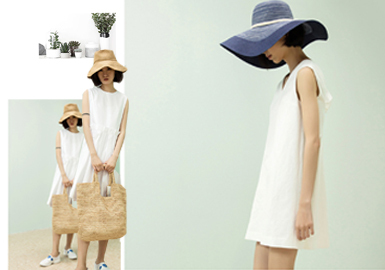 LAMAFAY chooses green as the main color, complemented with white and light blue, feeling as fresh as a summer breeze. 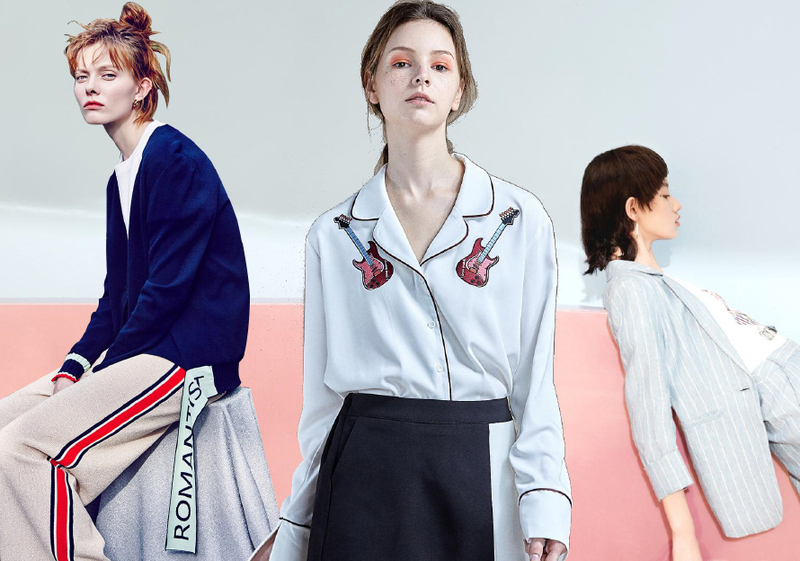 Founded in 1987, Handsome is a leading company in the Korean fashion industry, attaching importance to brand and talent value. It has several womenswear brands including Time, Mine, System and SJSJ, and menswear brands including Time Homme and System Homme. Handsome also launches imported fashion brands. The company was merged into Hyundai Department Store Group in 2012, which marks a milestone for Handsome. 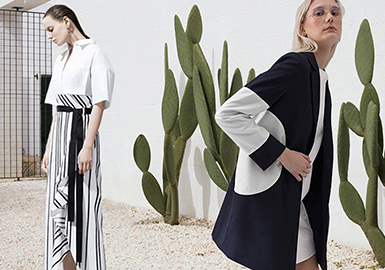 From the visual merchandising and store display of DAZZLE, MO&CO and Zara, the refreshing and natural style is the focus in this season. 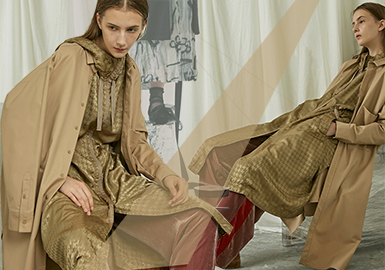 The traditional fast fashion brands are under a phase of transformation. Consumers' demand for the independent design continues to upsurge, the store display also affects the mood of consumers. (Left) The Mark Fairwhale X British Museum capsule brings us English styles. Fashion meets art, and vogue teams with vintage. As an ambassador for art, actor Zhai Tianlin visited the British Museum where old collections collide with modern styles, connecting the past with the present. 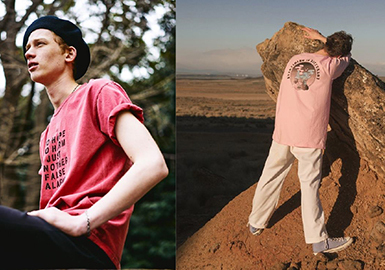 (Right) The Peacebird Men X Coca-Cola collection is classic yet creative. The iconic logo reminds us of the 90s Coca-Cola fever in China, also reflects optimistic street styles. From the window display of E.P and Marifrolg, we can see that items with large-scaled printing is emphasis in this season. 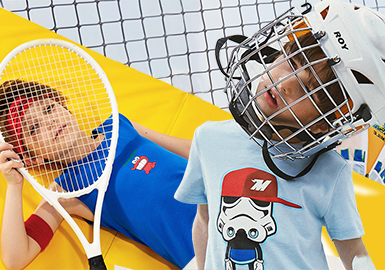 Balabala is a stylish kidswear brand providing one-stop service for children of all ages. Balabala gives kids a different childhood with playful, joyous and colorful items, stimulating their imagination and curiosity. 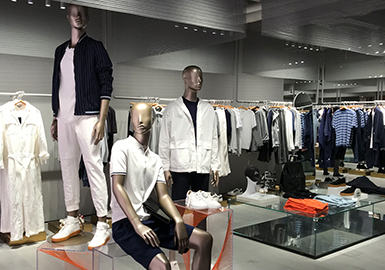 The store display takes on a simple style of main menswear business brands, the retro leisure brand J.D.V changes its sustained industrial style and stands out in the current simple trend. The diversified market drives the development of the business attire.